It's true. I really do. 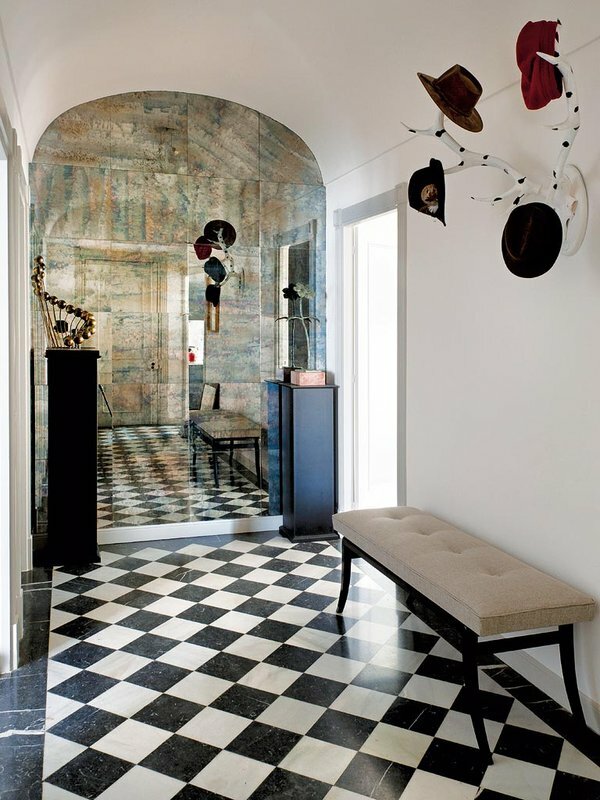 Especially, when interiors perfectly balance the old and new, like the Madrid apartment of Miguel García de Valcárcel. 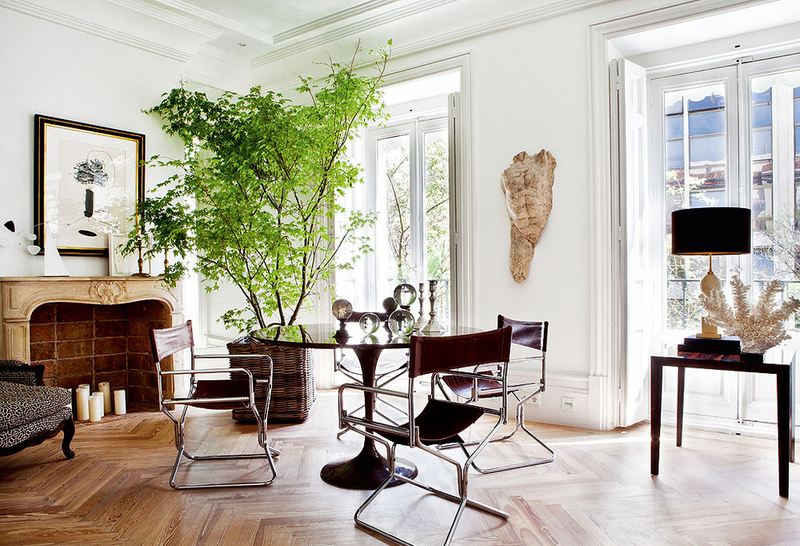 The pine herringbone floors are undoubtedly my favorite thing. They are a key element of Miguel's design, unifying the space after tearing down its walls. 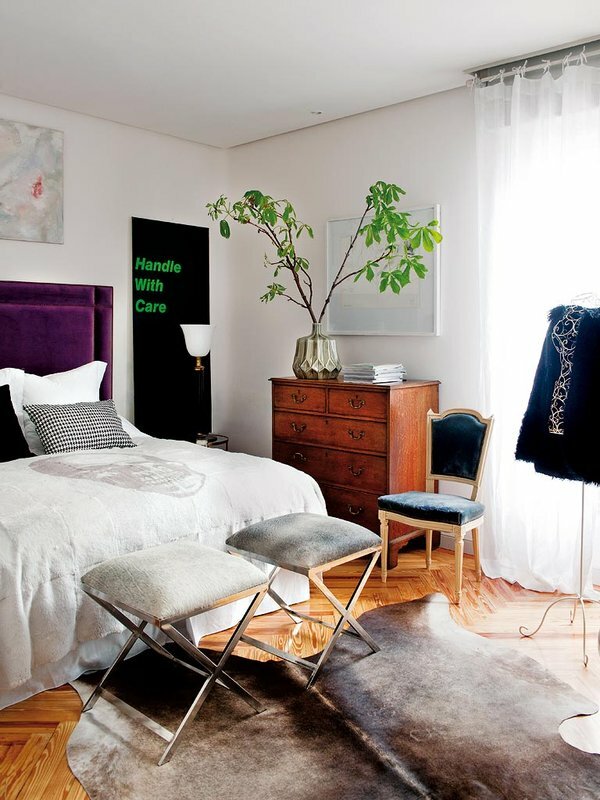 The result is a harmonious, sunlit home oozing modern masculine glamour. My favorite palette? It's definitely a top contender! A space can seldom go wrong with the sophisticated combination of black, gray, and gold, as shown in this living room by interior designer Pepe Leal. Check out this super cute apartment by the Spanish design firm, Living Pink. Mid-century modern pieces abound, from the sputnik chandeliers overhead to classic chair designs by Platner, Saarinen, and Jacobsen throughout. This home is like a perfectly-curated, vintage emporium. And, of course, there's plenty of pink! 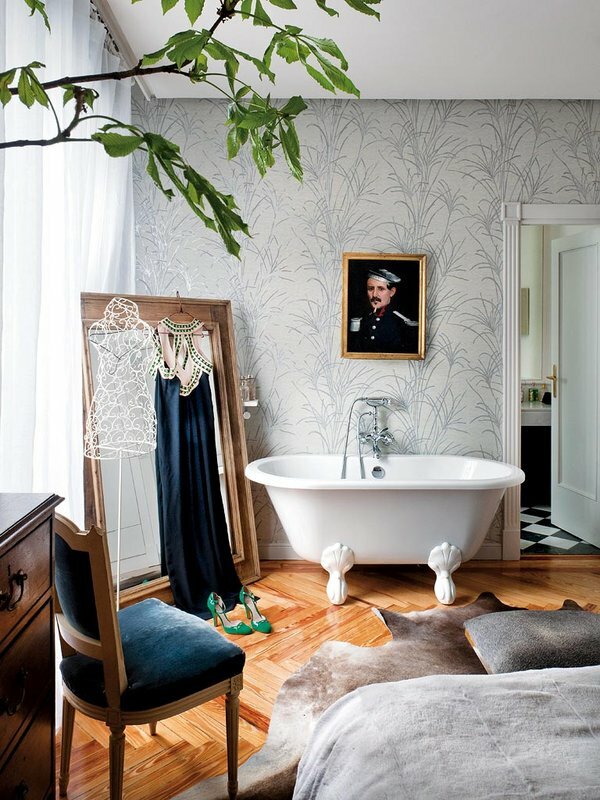 Check out the eclectic apartment of Madrid-based fashion designer Casilda Arizón (although, I'm beginning to realize that what we call "eclectic" is considered "perfectly coordinated" in Spanish design). Hide rugs, a chesterfield sofa, a juju hat, and more work together to create a home that is just as fashionable as its owner. Needless to say, my favorite space is the dining room. 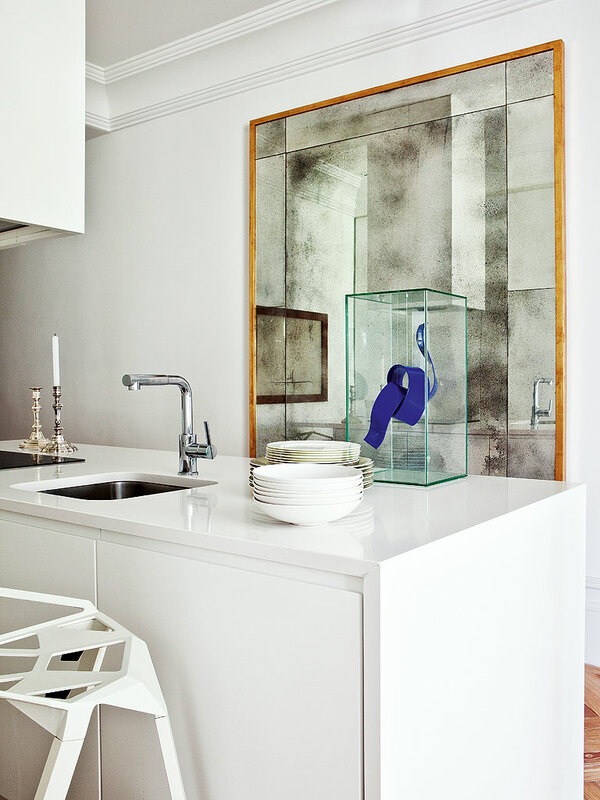 The Italian marble table is simply delish. 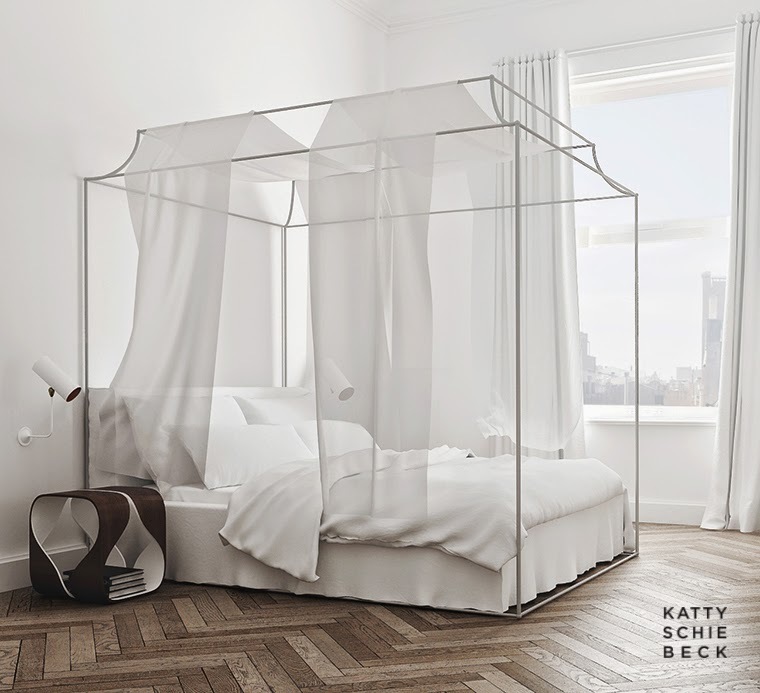 Hat tip to the Aestate and Design Chaser for introducing me to the work of Katty Schiebeck. 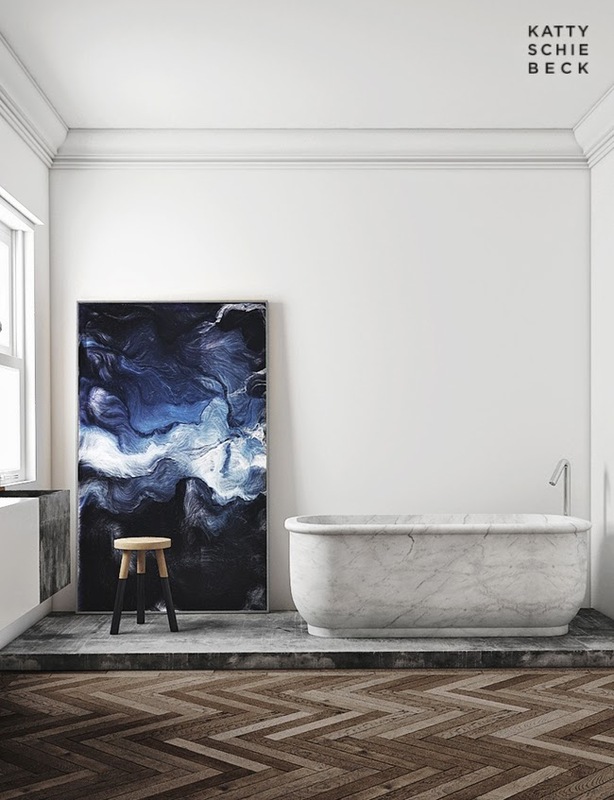 Real, rendered, or somewhere in between, I love the look of her latest project, a gorgeous-but-minimalist apartment with a kitchen so fabulous it will make your jaw drop. Isn't technology wonderful?